I have been inspired by stories of the past for as long as I can remember. Most recently I have been creating work relating to eighteenth-century London history; in particular, the archives of the Foundling Hospital. These archives hold fragments of fabric, thread and ribbon, as well as words. 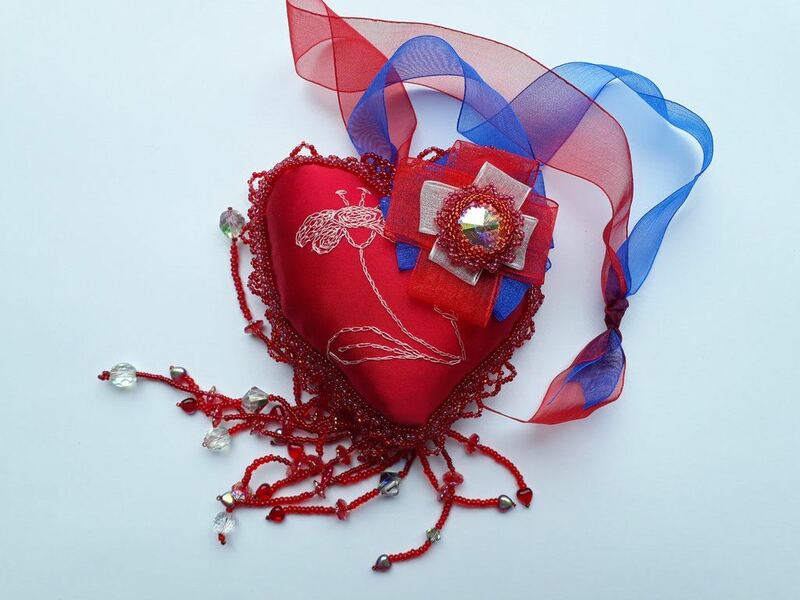 Through textiles and stitch, I aim to reveal the hidden lives of real individuals. I often contrast what I can find about their experiences to those of my own. In that sense it is a conversation with the past. Much of my work is 3D, hand stitched and I frequently add text; often taken directly from the archives. I use photographs to reference the capturing of time. When it feels right, I like to embellish with bead embroidery. At other times I keep my pieces plain. I often use the symbol of the heart to indicate individual lives. 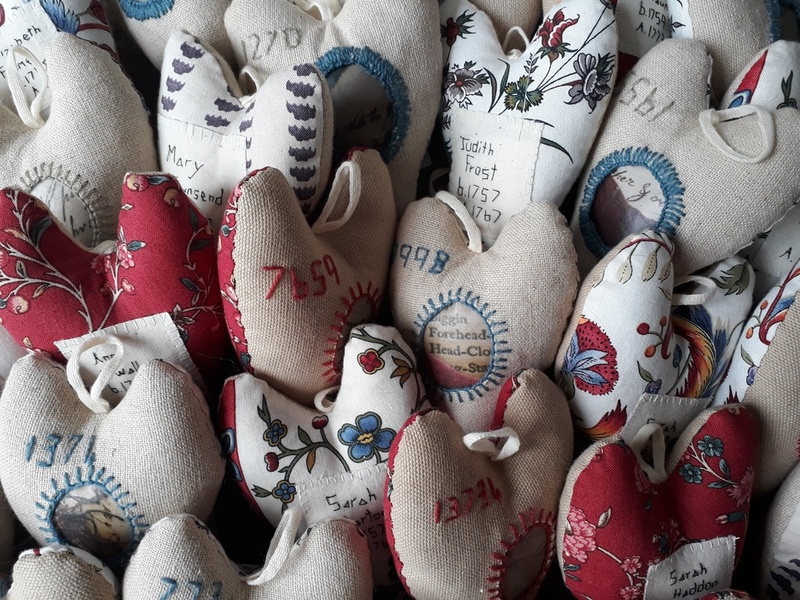 A stitch that can make or break - how over a twenty five year period tambour embroidery could change the lives of London women, for richer or for poorer. two girls listed in the 1780s as having no work and who therefore committed suicide. All were involved in the same technique of tambour embroidery. 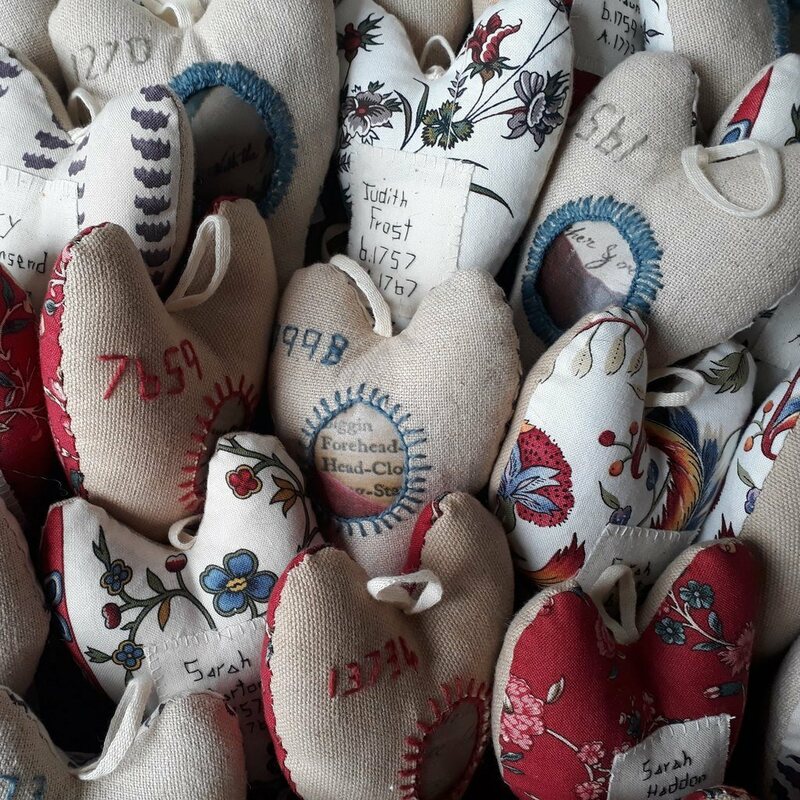 "The Tokens and Textiles of the Foundling Hospital Archives" - a talk about the 18th century tokens and how they are used to inspire my own contemporary work; this talk can be adjusted so that it has either a more historical or textile bias. "The Tragic Tale of Margaret Larney" - a talk about the true story of one woman who left two children at the Foundling Hospital in 1758, whilst awaiting execution at Newgate Jail. The story is mainly historical but does include some textile inspirations that relate to Margaret Larney and her life. "Fashioning the Foundlings" - how the children of the Foundling Hospital were educated during the eighteenth century - reading, writing, stitching, darning. All was considered suitable education for a typical foundling child turning him or her into a 'useful citizen'. "The Rise and Fall of the Tambour Hook" - based on research for The Power of Stitch, this talk looks at evidence as to how and why tambour embroidery arrived in London in the mid-eighteenth century. It quickly became fashionable before being replaced by new techniques. Did it make one woman rich and others poor? Did the foundling girls learn a useful trade?